January is usually a slow real estate month. That’s nothing shocking. Yet it’s always interesting to see how the market begins to maybe get a sense for where it might go during the year. 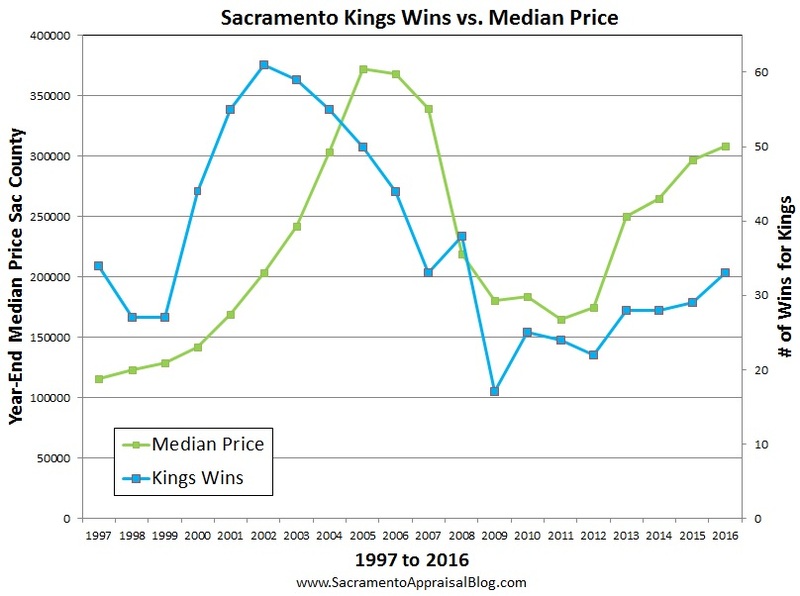 Today let’s take a look at 6 specific areas of the market in Sacramento, which will help us understand and explain the way things are moving. Longer on purpose: If you’re new to subscribe (thank you), most of my posts are not this long. But twice a month I break down the trends so we can better see the market. Most of my other posts are general enough to apply anywhere in the United States. Is your market similar though? I’m curious. Email me if you want the graphs: If you would like all the graphs in this post (and 15 more), send me an email (make sure to write “I want the market graphs” in the header). You can use some of these in your newsletter, on your blog, and in other social spaces. See my sharing policy for 5 ways to share. It’s easy to freak out this time of year when values take a dip. It can feel the market is falling apart when we see price figures decline. Yet the market almost always softens at the end of the year and in the very beginning of the year. Knowing this can help you communicate well with clients and even plan for business. Remember that sales stats usually see a huge uptick in March, and this signifies the Spring market. Technically most of the sales in March actually get into contract in February though, which reminds us the Spring market hits its stride in February. The median sales price took a 3% dip in January to $256,000. It might sound extreme to see the market soften this much, but last year saw the same exact 3% dip as you can see in the image above. On average it took 60 days to sell a house last month in Sacramento County. This is up from 48 days one year ago in January 2014, but down from about 90 days in January 2012. It’s important to realize the market is not the same at every price range. In other words, some price ranges tend to take longer to sell than others. Generally speaking, the higher the price, the longer it takes to sell. Keep in mind there were only 9 sales at 750K-1M and two above 1M, so take those stats with a grain of salt. Sales volume was at its lowest point in 8 years last month. On one had that sounds alarming, but it’s really the story of the market these days. Last year saw slightly more sales at this time, so this year isn’t anything out of the ordinary for the current market. Volume is simply down right now as a whole, and we can look at this as the new norm for a while until the market can handle more inventory and more demand (when the economy improves). It’s easy to get sensationalistic about having such a low volume of sales last month, but the graph above shows 15 years of January sales in Sacramento County. What do you notice? January almost always comes in last place for sales volume. In short, don’t freak out. Lastly, remember to consider what usually happens in February. Sometimes February is right in sync with January, but other times there is slightly more volume. We’ll see what this year brings, but knowing how the market works makes you an asset to clients. Inventory increased last month to 2.61 months of housing supply. This is slightly higher than it was one year ago, and exponentially higher than 2013 when there was only one month’s worth of homes for sale. Remember that inventory is the relationship between the number of active listings as of the first of the month divided by sales from the previous month. This means if there are VERY few sales in a month, inventory will actually sound much higher than it actually is. In short, an inventory at 2.61 months sounds like it’s on the higher side, but being that sales volume was really low last month, this figure at 2.61 doesn’t really mean the same thing as it would in the summer when there are far more sales. Housing inventory is never the same at every price range. This reminds us yet again there are many markets within a market. In this case, the higher the price, the more inventory there is. Low interest rates are like fuel for the housing market since they create more demand by drawing buyers into the market. That is what happened in 2012 when rates went below 4% (for the first time ever), and it’s likely going to get some buyers off the fence right now. Real estate is never just about supply and demand. There are so many “layers of the market” that are working to impact the direction of values. I hope this was helpful to create some context and conversation. Share: Please feel free to share this link with clients, and see my sharing policy for 5 ways you can share my content so we’re on the same page about what it means to “share”. Questions: What are you seeing out there? How does the market feel to you? Anything you’d add?